In April 2011, solar energy officially became the fastest growing industry in the United States. In a time when most industries are experiencing snail-like growth or even losing momentum, this is significant news. If you’re an entrepreneur looking stake your claim on the ground floor of what is poised to be an extremely profitable industry, now is the time to think about how you can become not only a supporter of solar but a retailer as well. Assess Your Expertise: Certain careers provide a solid foundation on which to build a solar business. Electricians, roofers, HVAC and general contractors all have skill-sets that are appropriate for the home solar industry, especially installation. But don’t worry; if you don’t have a background in these trades, there are still ways to create a viable solar business. Research the Opportunities: Installing panels isn’t the only way to create a successful solar business. 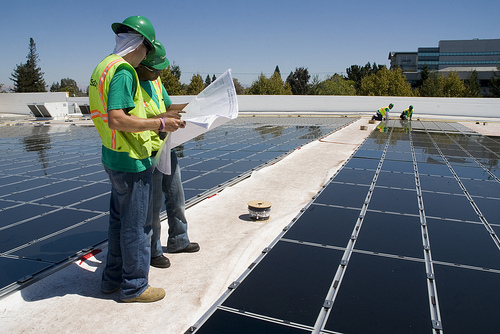 There is a growing need for companies to connect consumers with solar financing options and solar leasing opportunities. The industry also needs professionals who can market and sell panels, leases, and maintenance packages. Consider A Franchise: If you don’t have an MBA and aren’t sure that you’re ready to create a business plan from scratch, there’s no reason why you can’t build upon a foundation that’s already in place. Solar Universe is a company that’s building a franchise of solar installers across North America. The system provides opportunity to get started in solar, and develop your own business with the benefits of a proven business model, national brand and corporate support system. Get Trained: No matter what aspect of solar energy you want to address with your business, it’s important to seek out a training program that will increase your awareness of industry trends, new technologies, and sales strategies that work. AEE Solar is a wholesale distributor of solar technology. To support those that would like to become dealers of their products, AEE provides national, regional and local solar training classes for all levels of entrepreneurs. These online, classroom, and hands-on trainings help new retailers stay up to date on the latest technologies, tax incentives, products, and government regulations. 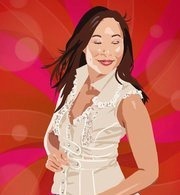 Lorna Li is the Editor-in-Chief of Green Marketing TV, Entrepreneurs for a Change, and Lifestyle Design Artist. She specializes in Internet marketing for socially responsible business and enjoys writing about green business, social enterprise, and location independent lifestyle. Follow @lornali.